Over ONE THOUSAND DUCKS went into training. 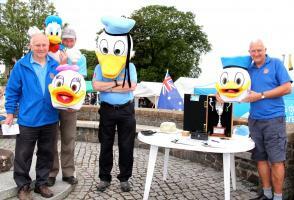 best dressed ducks in the world. 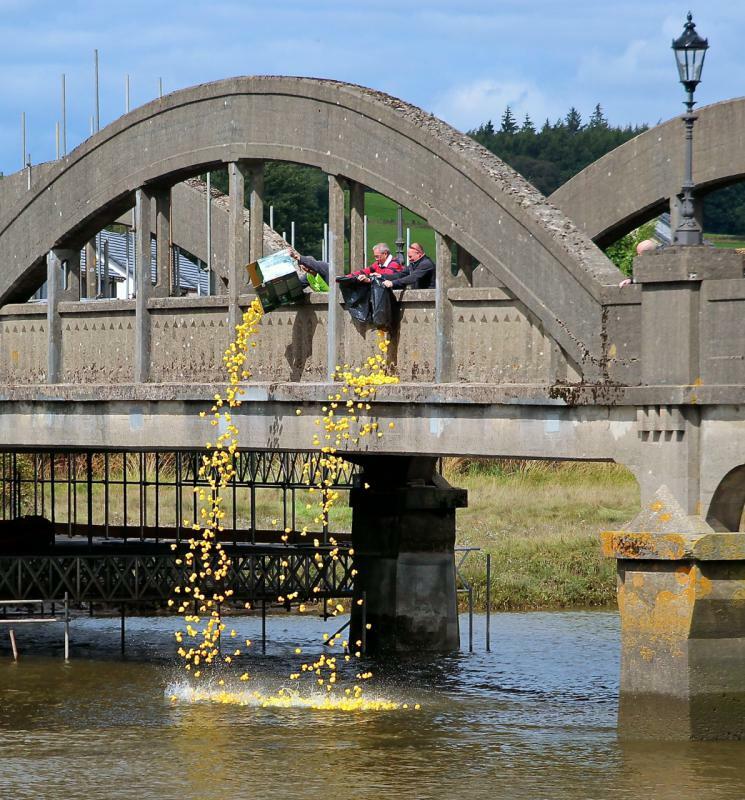 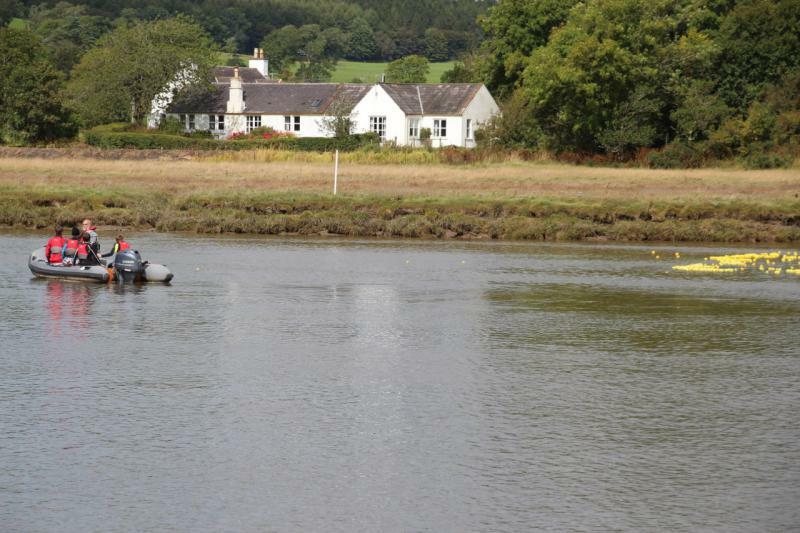 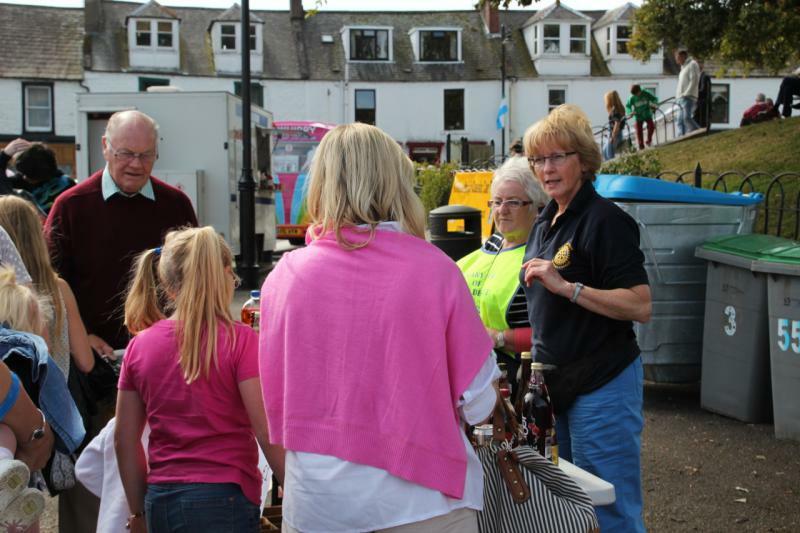 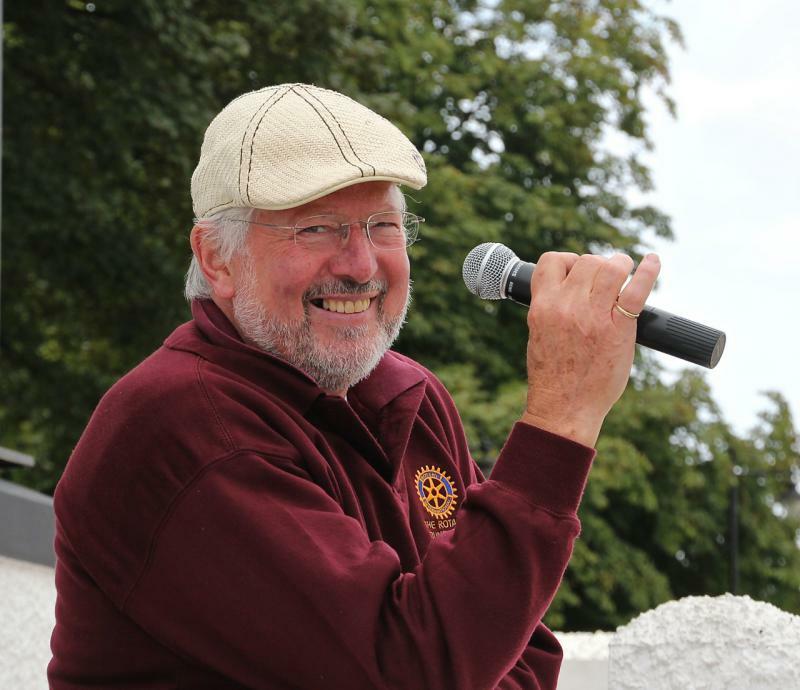 A bright sunny afternoon last Sunday saw a large crowd gather along the Kirkcudbright Harbour wall to watch the running of the Rotary Club’s annual Duck Race. 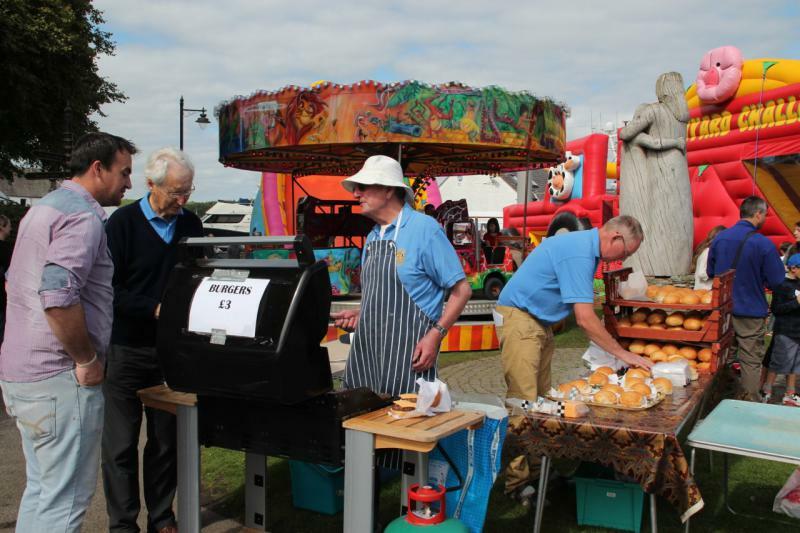 This is the 8th year the event has been held to raise money for charity. 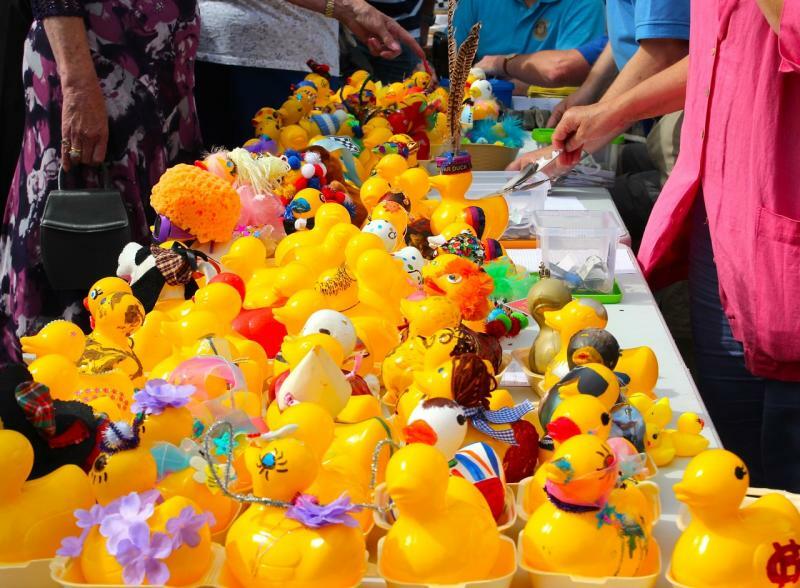 There were a total of just under 1400 ducks in the main race and 99 larger ducks in the Corporate duck race which is supported by local businesses and Rotarians. 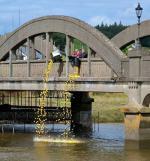 The ducks were launched from the Bridge and “swam” furiously down the river to the finishing line at the harbour slipway. 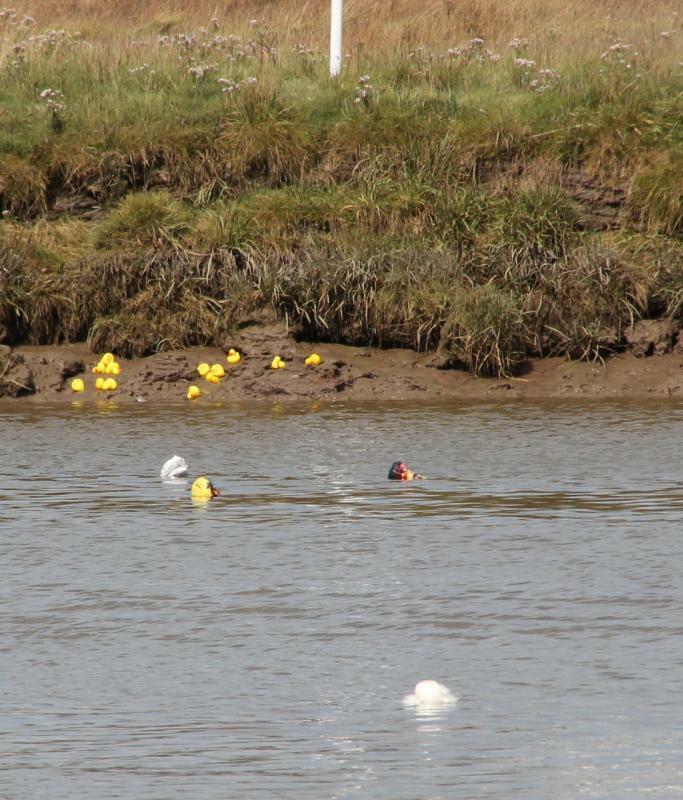 The ducks were recovered at the finishing line river by the Sea Cadets. 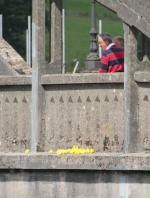 The winner of the public duck race was Mr A Cross from Motherwell (duck no. 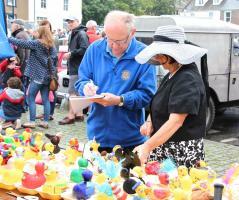 118 ) with Mrs Y Sproat from Annan (duck no. 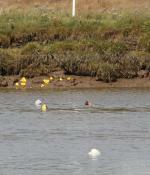 57) winning second place. 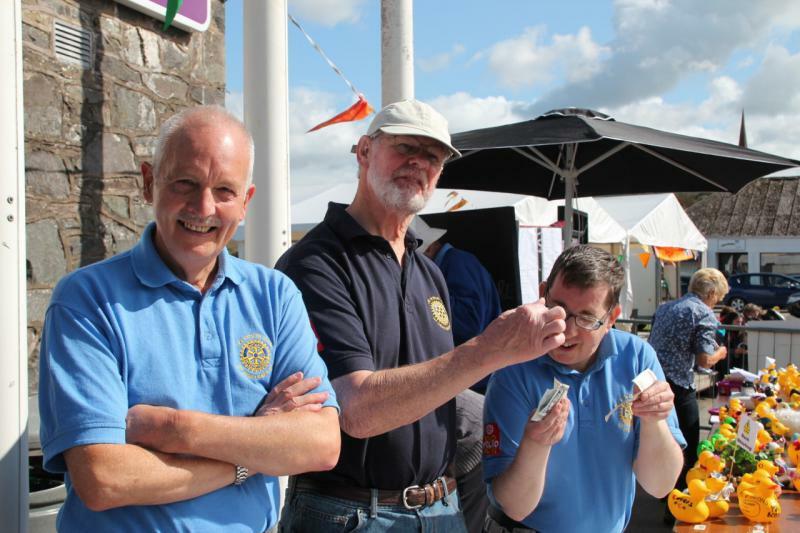 Third and fourth prizes went to locals Mr A Patterson and Mr Proven. 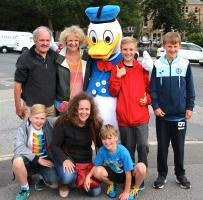 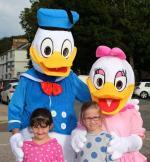 The winner of the Corporate Duck race was Ethan with HMS Lochinvar coming second followed by Daffodil (Lindsay Line). 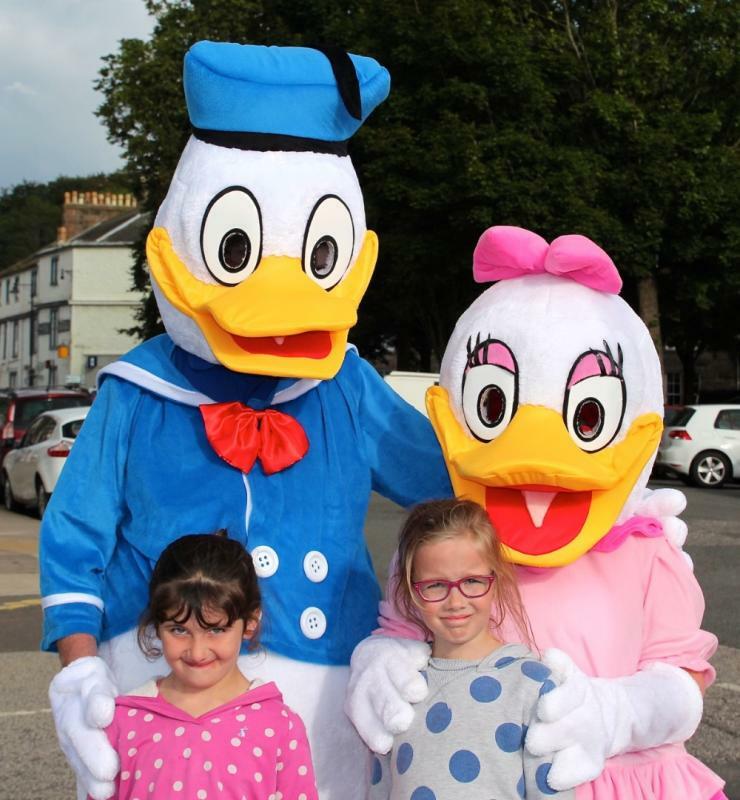 Immediately before the race a “Beauty Parade” of the Corporate Ducks was held with two judges from the Vintage Car rally awarding first prize to Dorothy Duck (J S Fencing), second place to Polka Dot (William Law) with Selkirk (Selkirk Arms) coming third. 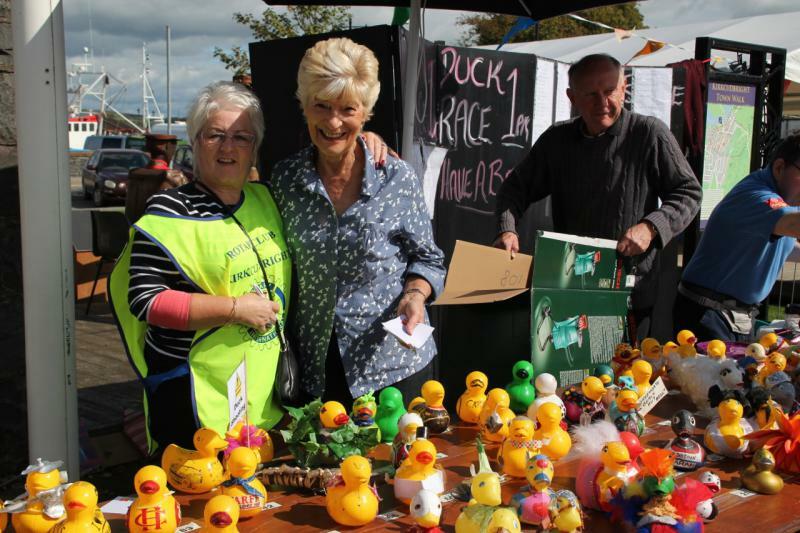 The Club’s President, Jean Best, said “each year the race seems to grow in popularity and we are delighted to bring a lot of fun and excitement to the Town. 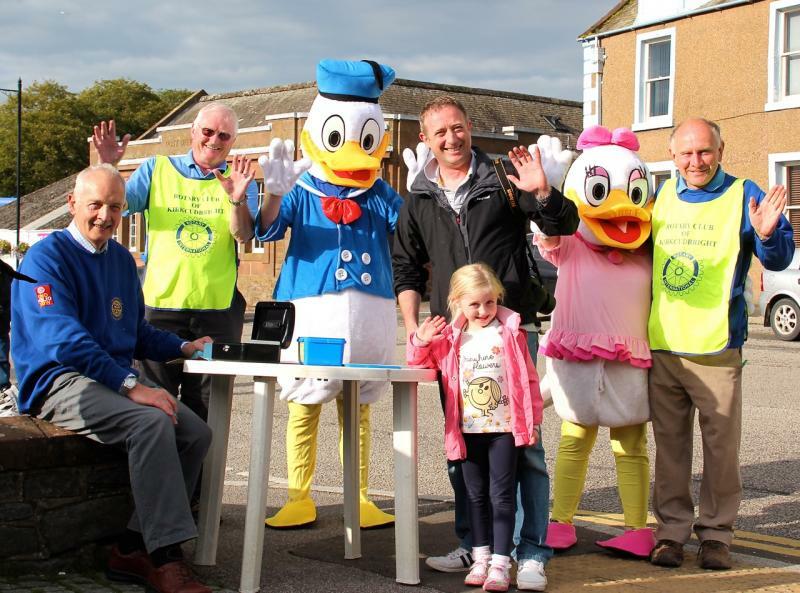 The summer is a busy period for the Club when we try to raise as much cash as we can for good causes both locally and internationally. 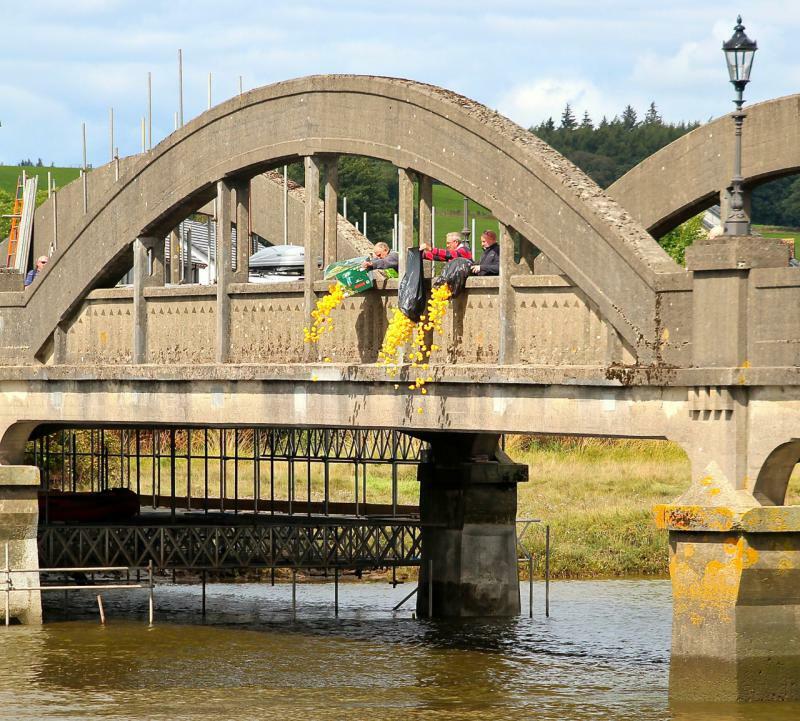 We have lots of fun doing it and I invite any readers who are interested in getting involved to come along to one of our meetings which are held in the Selkirk Arms every Tuesday evening to find out more” . Every Year over 1,000 ducks take to the River Dee some more spectacularly dressed than others.